Internet giant Google has released a Snake-inspired game on Google Maps called Google Maps Snake as part of its yearly April Fools Day gag. The 90's throwback game allows you to control a bus or train to pickup passengers along the way as every passenger that you pick increases your bogey in size. You can choose from several various cities, or even on the world map. While each passenger that you pick adds a point, they are bonus items that appear on maps that adds 5 to 10 points for you. 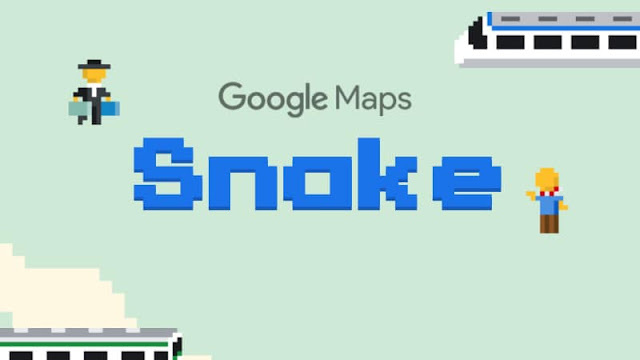 Now, depending on your location your snake takes the shape of a train, bus or a tram. 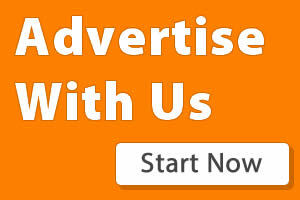 These locations includes Sao Paolo, London, Cairo, Sydney, San Francisco, Tokyo and World. San Francisco for example has a tram instead of a train or bus. 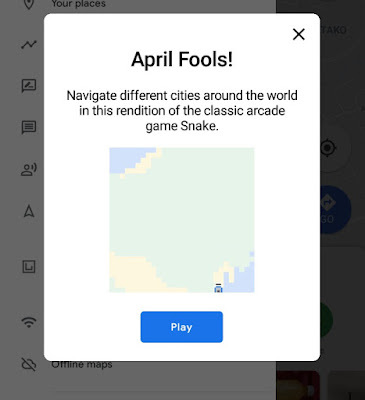 The game is available on Android and iOS users around the world using the Google Maps app for Android and iOS. It can as well be played on the standalone site. 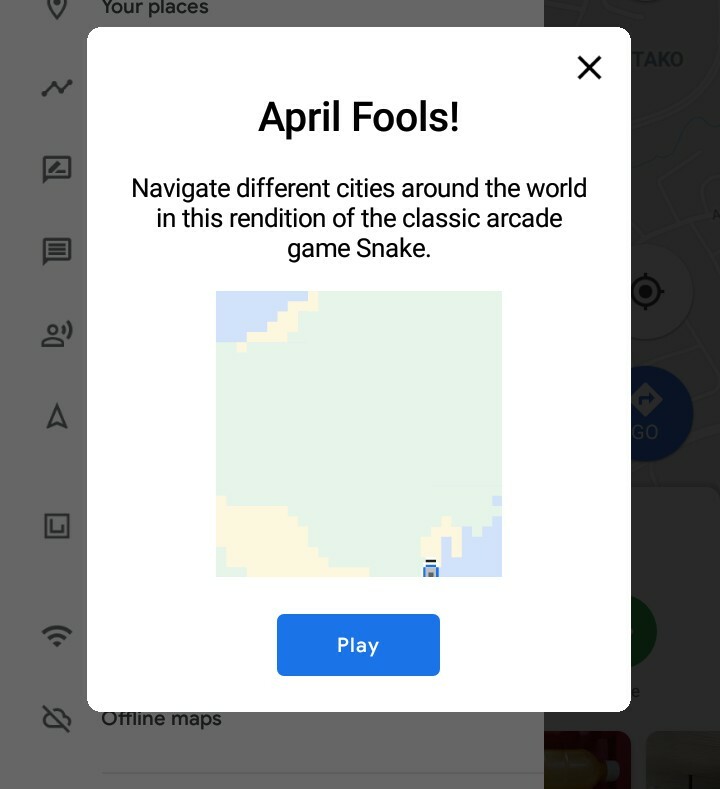 To start playing the game from your iOS or Android device, open the Google Maps app, tap on the menu icon on the top left corner, then select "play Snake". Once you've selected a city, start picking up as many passengers as you can as your train travels around the world—stopping everywhere from Big Ben, the Great Sphinx of Gaza to the Eiffel Tower. However, running off the map is Game Over!